Your search around the internet for the perfect watch may be confusing as a result of all the new words you’ll find. Don’t worry; we are here to help you with a few terms. An analog watch tells the time using a minute hand and an hour hand. The bezel is the ring around the face of the watch, and it is often adorned with diamonds, gemstones, or some kind of design. On the dial or face of the watch there may be sub-dials to indicate seconds, date, or other features. 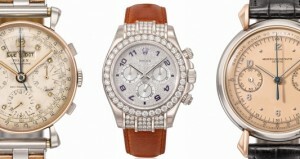 The watch may also have inlays, which are gemstones that are set onto a space and that adorn the timepiece. The dial of a watch is covered by the crystal, which protects it. Now, the caliber is a number that indicates the size and type of movement. It also details if the watch was made for a woman or a man, as well as the number of hands, what type of calendar and complications it has, and other information. The special features and functions found in a watch (beyond time telling) are called complications. Some examples are chronographs, world-timers, day/date windows, and alarms. Some watches may have hallmarks, which are informative words or symbols engraved on the back plate of the watch, on the bracelet, or on the complications. The hallmark information usually specifies the case material and other special features. A watch is powered by its movement or internal mechanism, which can usually be mechanical (automatic or manual) or quartz. 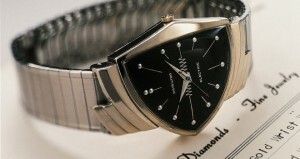 If the watch has a quartz movement that means that a quartz crystal regulates the mechanism of the watch. 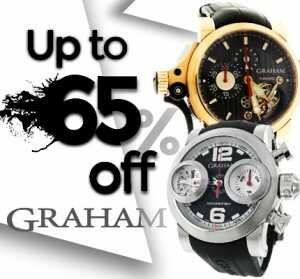 300watches sells pre-owned watches in excellent condition that look like new. They are in perfect condition and you can be sure they are authentic and work perfectly. We also sell pre-owned watches in great condition that do show signs of use, but that also are authentic and work perfectly. 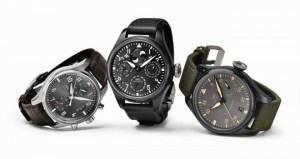 Most of them are water resistant, which means they can be submitted to a determined amount of water pressure and still keep working. Finally, a complete explanation for what a tourbillon is can be found in another article, but it basically counteracts the effects gravity has on the precision of the watch. This is no longer in use but is highly appreciated feature by collectors. Hope this information was useful!